Flying across the North American continent at an altitude of 34,000 feet is an experience somewhere between looking down upon a held globe and walking across the terrain. Maybe that’s too obvious a sentence for starting this second blog entry, but the fact of that obviousness is the necessary beginning, I think. As we walked the few miles through Tongass National Forest and across or around several mountains along the West Trail to Mendenhall Glacier, Ensign Steven Wall and I followed piled stone trail markers called cairns. Crossing the skies above the glaciers of western Canada and eastern Alaska, I was overwhelmed by the sheer majesty of the sights below me. Stretching from one horizon to the other, mile after seemingly endless mile of nearly blinding albedo from frozen water reflecting the sunlight of the approaching solstice at the nearly-Arctic latitude, interrupted only occasionally by jutting dark crags of towering mountains with just enough warmth or slope to slough the otherwise boundless field of snow, and dotted here and there by impossibly sapphire pools of today’s meltwaters. Eons of valleys carved by the almost imperceptibly unhurried slog of ice advancing under the magnitude of its own weight. Cascades of energy waiting, breathing, crawling, leashed only by the chilly bonds of molecular attraction below a certain thermal mark. But the hiker in me instantly feels a frostbitten ache in the ankles and knees just from peering downward at the tremendous glaciers from the warmth of the airplane cabin, entirely based on the mere consideration of just one day’s walk across the frozen sheet, thousands of frigid footfalls constituting a single-digit of traversed miles, at best. Truly, the glaciers are awesome when seen from an airplane. 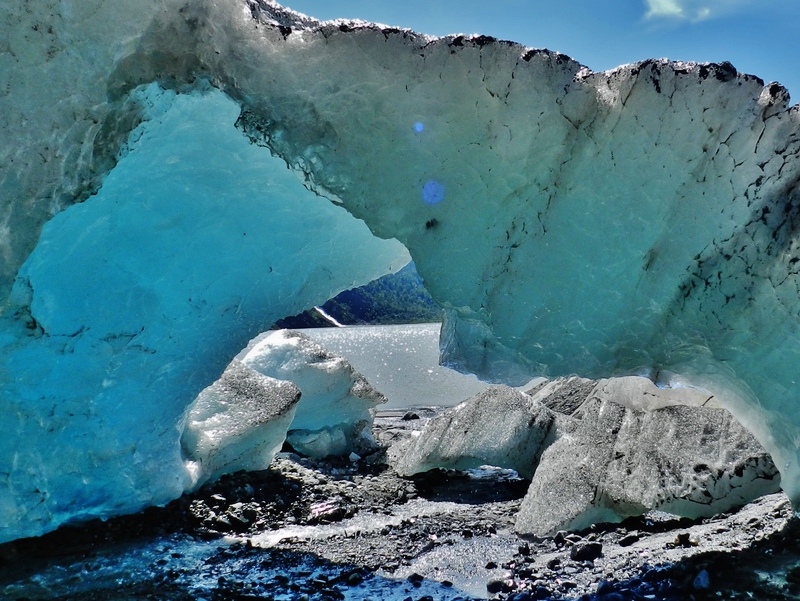 These ice formations are at the leading face of Mendenhall Glacier as it slowly creeps along and melts into the lake and river below. Even though they seem small, the rocks beneath the ice are more than twenty-five feet high above the water line in this picture! About an hour after I took this photograph, a chunk of ice calved away from the glacier, making an explosive sound that could be heard for miles. On a globe in my classroom, though, those magnificent glaciers are mere splotches of white and maybe a bit of texture for the fingertips, an entirely different paradigm, to be sure. Accurate, proportional, and contextually appropriate on a cardboard sphere that must display the major surface features of an entire planet. Excellent for showing young people comparative and relative size and location in order to launch discussions about geography, tectonics, Earth’s axial tilt, or the water cycle, but not likely to send shivers through the imaginations of the young students whose travels more often are flights of fancy rather than physical treks to distant lands. This was our first close-up view of Mendenhall Glacier. The “ramp” of ice that you see on the right is more than one hundred feet high. The point of this comparison? A study in perspective. Where a biologist sees a species of tree (or maybe a whole ecosystem), a painter sees verticality or varieties of green, and a carpenter sees a cabinet. Importantly, all three observers are valid, correct, and good in their perspectives. Perhaps more importantly, not one of those perspectives has to be deemed wrong just so that the others can be right at the same moment. Likewise, the globe and the look-down from the airplane both are meaningful in providing totally different perspectives on the same glaciers. Pressure, temperature, and friction work together to carve holes and caves in glaciers, some of which are big enough to walk through… with safety gear, of course! Therefore, I was overjoyed to hear on my first morning after boarding Rainier a bit of enthusiastic encouragement (and a quick primer on how to use a can of bear spray!) from the ship’s XO, Holly Jablonski, insisting that Ensign Steven Wall and I should spend the day actually exploring Mendenhall Glacier above the Tongass National Forest, just outside the Juneau city limits. With snacks and drinks in hand, Ensign Wall and I were dropped at the head of the West Trail, where we hiked through a few miles of verdant evergreens and mosses, over and around a few mountains, and up a rock face before arriving at the toe of Mendenhall Glacier. Abruptly, here in front of me was a rippled wall of ice with folds so large that singular words of description are insufficient to capture their enormity. 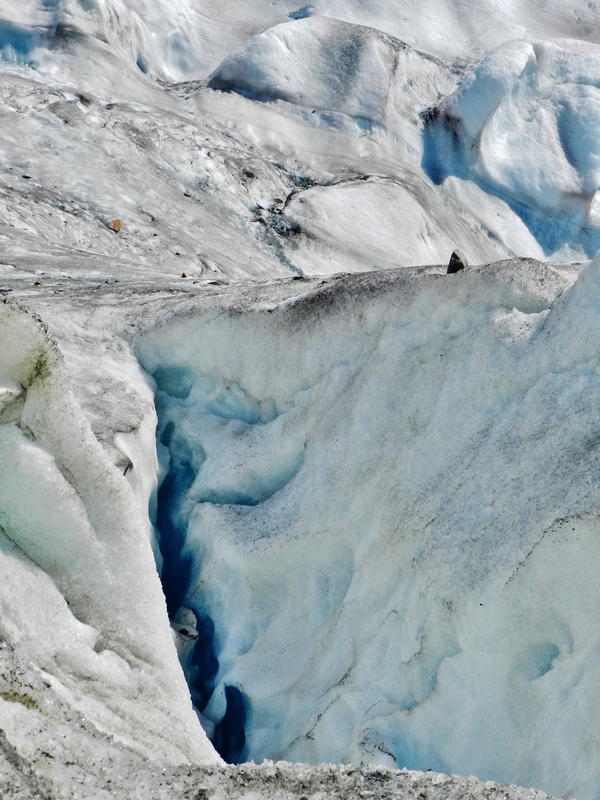 What had appeared from miles across the meltwater lake to be small chunks of ice at the face of the glacier now were towers more than 140 feet tall, and yet their backdrop still showed them to be relatively tiny. 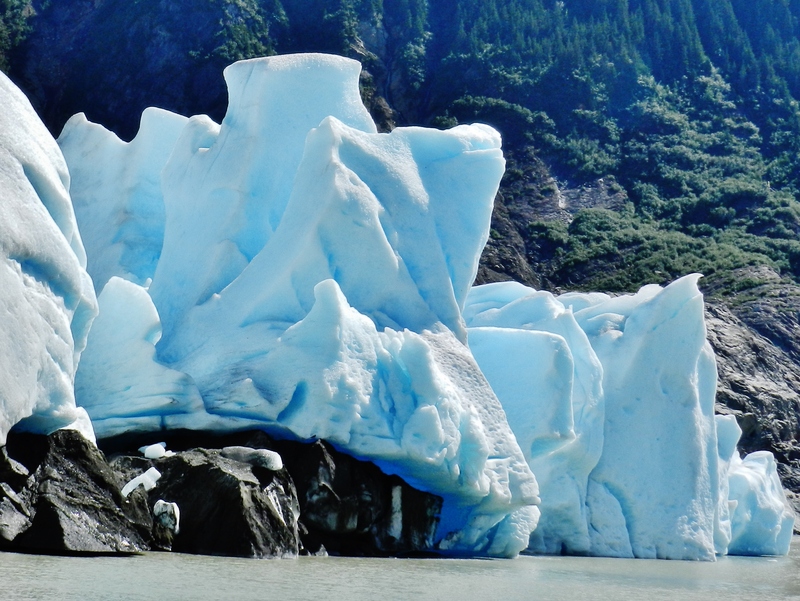 In the river below were chunks of floating ice that had fallen forward from the glacier’s leading edge, seemingly just a few feet wide… until I saw kayaks completely dwarfed next to them like flies next to football stadiums. If you look closely, you’ll see that the black specks on the lake are kayaks, which will give you some idea of the size of the “small” icebergs adrift in the water below Mendenhall Glacier. What appears to be a small crack really is a crevasse more than twenty feet deep, and its small drainage cave continues downward for more than 150 feet to the lake below the glacier. Indeed, the ice was cold, but the feelings at the front of my thoughts were more about size and power, awe and beauty. Nothing in my previous education had prepared me for my sudden inability to appreciate the magnitude of the behemoth. Crawling through caves of ice and walking on the surface of the ice was both spiritually overwhelming, as I joined something so much larger in size and time than any human experience, and also tremendously frightening, as the sound of every creak and every drip striking a floor hundreds of feet below the edges of the hole served as a reminder of my fragility at the hands of such forces. Next, though, I surprisingly was struck by exactly the opposite of the feeling that I had expected: Rather than feeling the tremendous difference between the frozen landscape in front of me and the 90-plus Fahrenheit degrees that I left before dawn just one day earlier in Florida, I was moved instead by an overwhelming sense of unity, sort of a bridge between the airplane view and the globe view about glaciers that already had passed through my mind. I couldn’t escape the connection between this mountainous ice sheet and the swampy lowlands where I live thousands of miles to the southeast, because ultimately it is the existence of this frozen ocean atop the mountains of Alaska (and its neighboring icecap, extending toward the planet’s pole) that leaves the great liquid oceans of Earth at a lower level, thus exposing the small peninsula of Florida that I call home at the far other corner of the continent. And then I saw everything around me differently: The flowing ice around the peaks looks very much like the wind-blown sands at the beginnings of beach dunes, the small deltas in the mud from the trickles of meltwater are shaped identically to the much larger region surrounding the Suwannee River as it crashes into the Gulf of Mexico, and the wetland grasses miles below the glacier are nearly twins of the salty marshes near Florida’s Intercoastal waterway. While very different, also quite the same in many ways. A delta is formed when running water meets the friction of an obstacle in its path (often a larger body of water) and spills leftward and rightward of its banks, making a triangular shape (like the shape of the Greek letter delta) in the nearby land when seen from above. 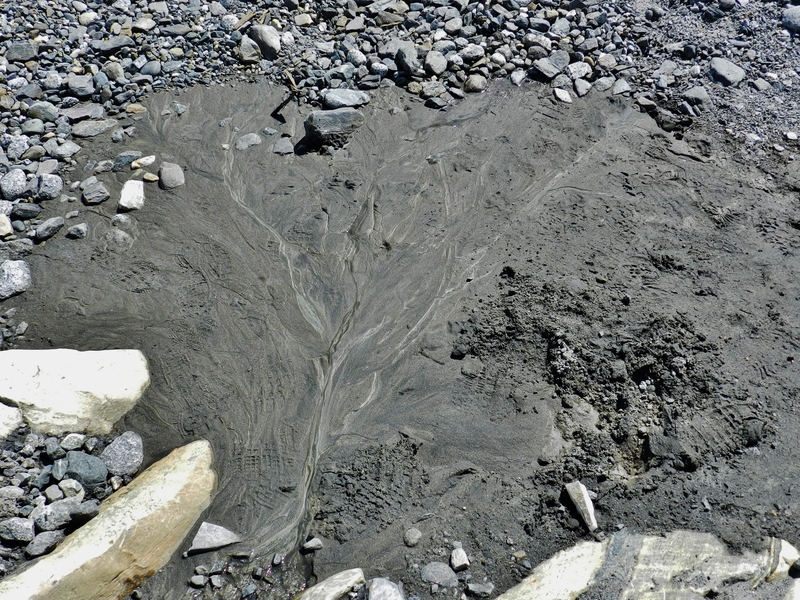 This tiny delta is at the end of a rivulet at the base of Mendenhall Glacier, but it has the same basic form as larger river deltas all over the world. As my students and friends hear me say so often, we are the sum of our stories, and every story is interesting if told from a meaningful or exciting perspective. If I simply had described the past few days of my life as a series of long and uneventful flights followed by a walk among some trees and ice chunks, it wouldn’t have been untrue; it just would have been less interesting. We all know that the best stories often come from places of familiarity, but spun with unfamiliar points of view. During the next three weeks, I look forward to hearing and sharing ideas and insights with scientists, mariners, stewards, and technicians aboard Rainier as together we explore the same scenery along the waterways of Alaska, but from our own different perspectives… and then sharing those stories with you here. 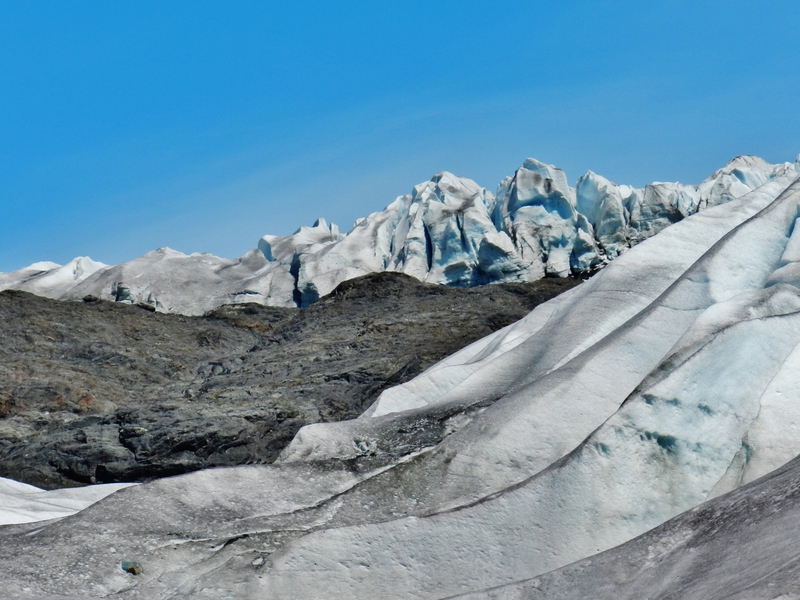 By finding the ice features along the left wall of this picture on other photos in this blog may give you some additional perspective about the tremendous size of Mendenhall Glacier, as here you can see a group of hikers along the edge of a meltwater stream. In our hurried world of expediency, cell phones, and paved highways, perhaps we too often put on blinders to see our travels from only one frame of reference. As you walk your own paths, I challenge you – as I again challenge myself – to look at each new thing in several ways before closing any doors of possibility or windows of perspective. Keep exploring, my friends. 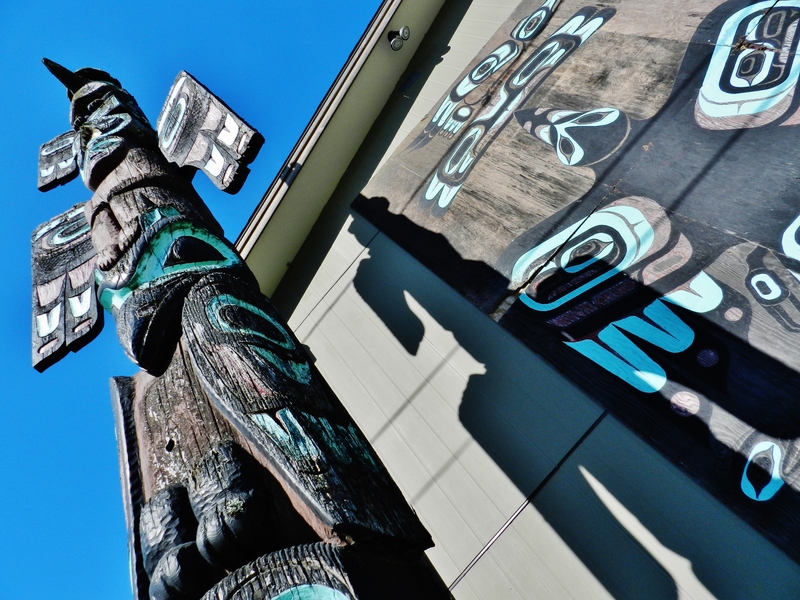 The native Tlingit people carve and paint totem poles and other images to tell stories, record events, and celebrate or worship. Central to their totemic imagery is the great raven, a powerful bird of the local skies. The items in this photograph are at the entry to Village Drive, where many members of the Tlingit Tribe still live just a few blocks from the water in downtown Juneau. Before my excursion to Mendenhall Glacier, I first was taken to the ship port in Juneau, where NOAA Ship Rainier has been at port for two weeks. Despite the late hour of my arrival, the sun at this northern latitude so near the beginning of summer remained far above the horizon, and so I decided to explore the local city on foot. 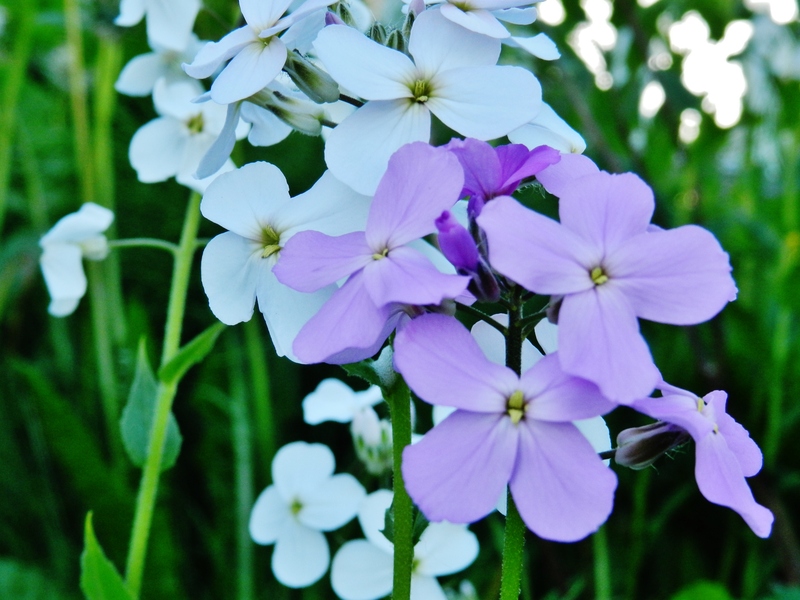 Many colorful flowers bloom in the warming air in and around Juneau as summer approaches. Juneau, the Alaskan state capital, is nestled among several evergreen-rich yet white-capped mountains on both banks of the mighty Gastineau Channel, which carries its glacial headwaters eventually to the distant Gulf of Alaska in the North Pacific Ocean. While Juneau has served as host for my shipmates during their hours of liberty in the past several days, the city traces its history both to the discovery of gold in the nearby mountains and waters and to the native Tlingit people who moved from nearby Auke Bay. 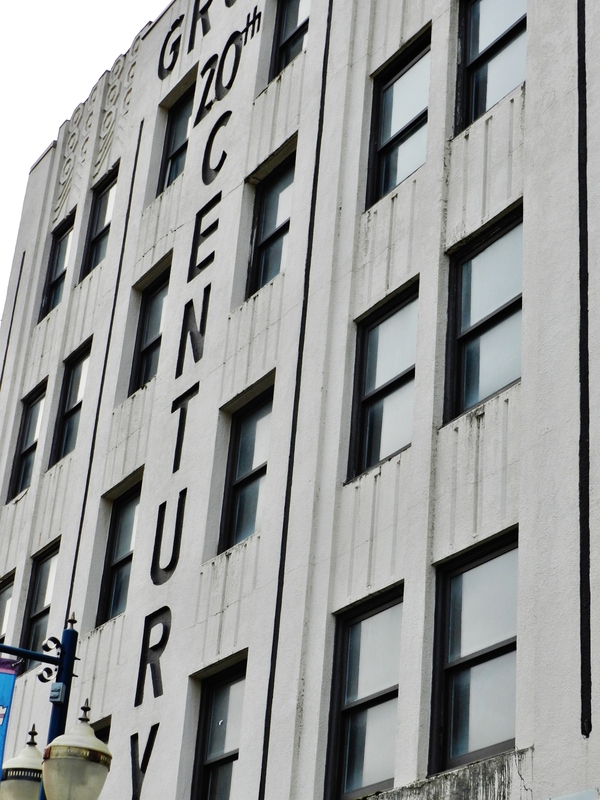 During the past century and a half, those beginnings have laid a strong foundation for commercial ventures in mining, exploration, and government alongside a rich cultural heritage that still is seen in the stories told by the totem poles at the entry to Village Drive. Further, those roots have since grown as other visitors and new residents have brought their own religions, cultures, and curiosities, resulting in a small and beautiful city of varied flavors and voices, a city whose shopkeepers, fisherman, sailors, citizens, and guests mingle their perspectives into a lovely harmony with those of the soaring eagles, boisterous ravens, playful otters, and hungry gulls. Downtown Juneau has many beautiful older buildings, like this one, which houses the movie theater (a favorite evening site for ship crews ashore). 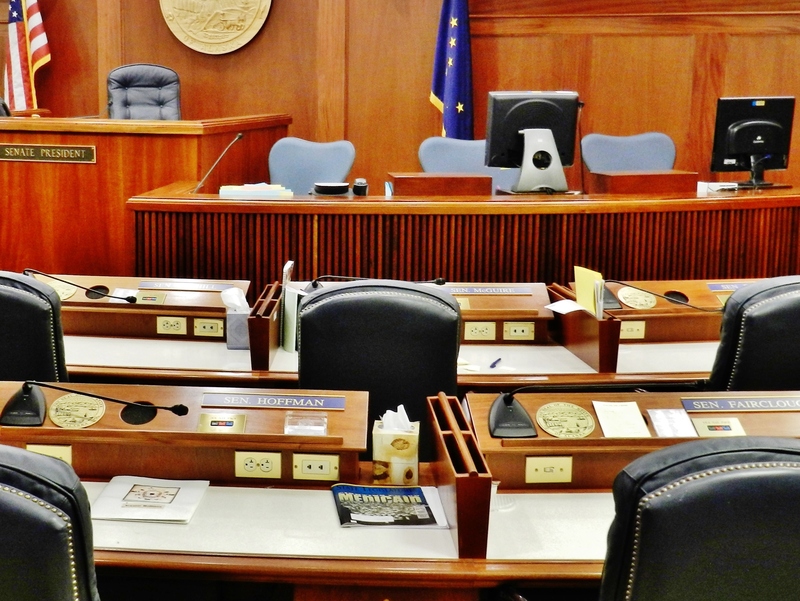 Senators represent their home districts as they debate, negotiate, and legislate in the Alaska Senate Chambers in the state capital city of Juneau. 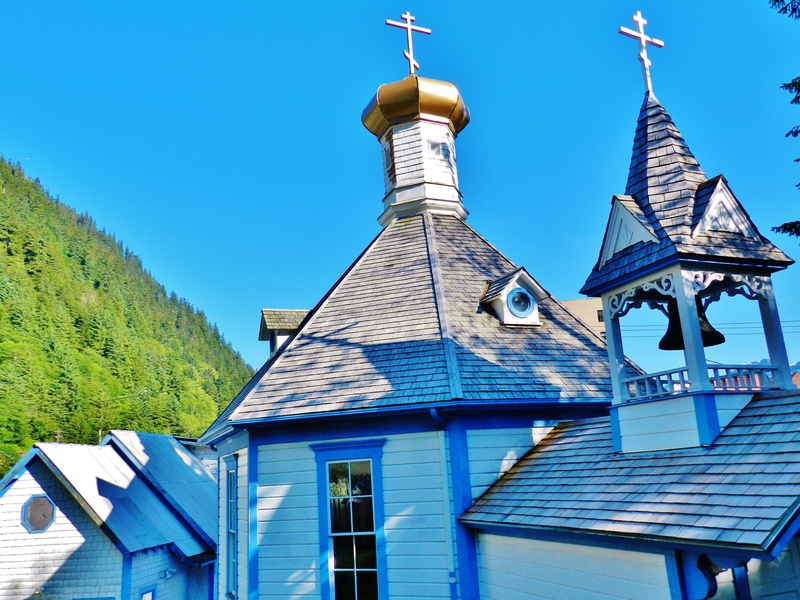 This is the oldest Russian Orthodox church in North America, constructed in the 1800’s to educate and convert the local Tlingit people. Like other living things, languages grow, ingesting new ideas and experiences, and then converting them into written or spoken symbols called words. The study of vocabulary often reveals another important lesson in perspective, as word roots give us clues about how the inventors of those words saw the items and events in their own worldviews. For example, a glacier is an enormous sheet of ice, but the etymological root of that word is the same root that underlies glass (which looks like ice in its nearly-clear, fragile, appearance of solidity) and glaze (which means to coat or polish a surface so that it appears to be covered in ice, a metaphor that is extended into frosting and icing on cakes). And in many European countries, you can order a frozen treat by asking for a glacé. Also, when a frozen chunk of the leading face of a glacier breaks free of the main body of the glacier, the event is called a calving, as the inventor of that term in that context must have seen the many ways that the event is like the birthing of a smaller baby cow from its much larger mother. 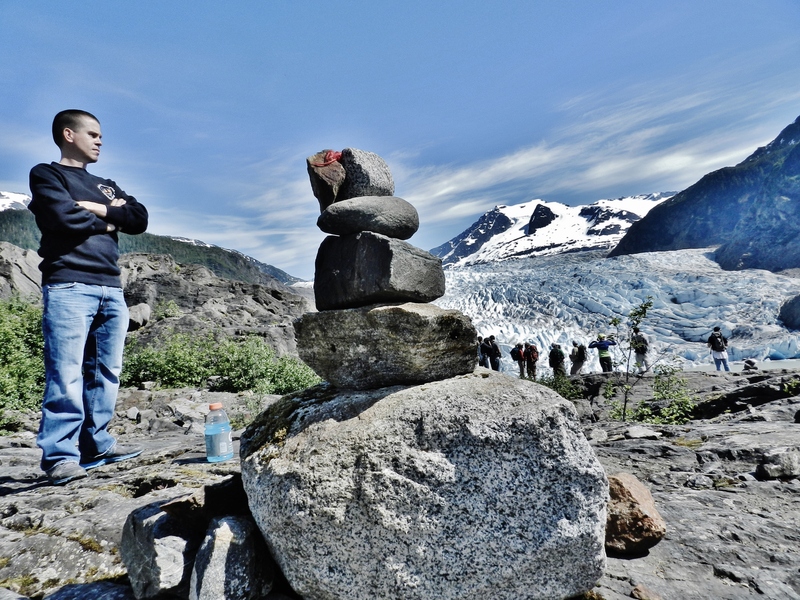 This entry was posted in 2013, NOAA Teacher at Sea, Robert Ulmer and tagged Alaska, Anchorage, glacier, juneau, Mendenhall Glacier, Perspective, Rainier, Tlingit, Tongass National Forest, Vocabulary. Bookmark the permalink. Rob, enjoy your cruise on the Rainier. I had the pleasure of joining them for 12 days in May. You sail in a truly majestic part of the world. I look forward to reading your blogs. Greet folks for me. Bill, you left things in great shape aboard Rainier before my arrival, and I certainly will give your regards to my shipmates. Excellent. I’m so happy to share what I’m fortunate to witness on this journey. Thank you, Rob. I am enjoying my second journey to Alaska through your eyes. Cool, Terri. I’ll say hi to the local residents for you! I think I like the picture with the hikers the best – it’s so helpful to see the scale. I keep imagining what it must have been like when the ice calved away from the glacier. It’s incredible to see the glacier pictures and read the descriptions. It looks like you’re living in an IMAX movie! The explosion of the calving was a bit frightening, considering that we had been standing on the shoreline about a hundred yards away just an hour earlier. And it looked so small from a distance, but, of course, by that time I knew exactly how large the chunk of fallen ice truly was. What a magnificent place Alaska is! At one moment peaceful and still, another moment and you see the primal forces of nature at work. If you haven’t been there, it’s hard to grasp the scale of the mountains and glaciers. Beautifully said, my friend. I have been there for a few days now, and still I’m having trouble wrapping my head around the immensity of everything. Have a safe but adventurous summer. Beautifully written – you’ve hooked me and I can’t wait to read more about your cruise! Wow! Thank you so much, kind reader. I hope to publish a new blog post every few days, but access to the internet is a bit spotty here on the ship, so please be patient. Oh how I wish you had been my science teacher. You made this come alive. I can’t wait to follow you on your journey. I’m impressed that you’re willing to read and keep learning. Exploration should be a life-long venture, so keep it up! What a great story, I can’t wait until the next installment. I have always wanted to go to Alaska and view the beauty there but life has a way of getting in the way. Thanks for sharing the experience with us and giving us some insight into the marvels of that area of our world. Thanks, Bill. I understand about life getting in the way, and I feel very fortunate to have this opportunity. Keep reading, buddy! Thanks so much for bringing the vibrancy of Alaska to Lake Butler, Isn’t it wonderful to see some of the Earth as I has always been , before we came along to take so much from it. Allyson and I are working today, so reading your adventures was a much needed escape, I look forward to your next blog, Have fun! Awesome pictures Mr.ulmer .I enjoy seeing and reading what you post on your blog.Enjoy your trip. Thanks, Shelby. Keep reading, and have a great summer! I loved the Rainier. I was there in 2009 and I learned so much about hydro. Seeing parts of Alaska most people will never see was a plus also! It’s a very cool ship, Susan. I’m really enjoying the crew, the experience, and the scenery. Thanks, Grandma Madeline. I’m having a great time, learning a bunch from some very cool and smart people, and trying hard to give you all a good picture of what I’m seeing and thinking. I’m glad to have you as a reader. Much love.